his post was sponsored by NUK as part of an Influencer Activation for Influence Central, however all opinions expressed are my own. Even though I’m a stay-at-home mom, I often have to pump breastmilk for Jackson. Sometimes because I have appointments and sometimes because I simply want a break! One of my biggest struggles with pumping is being able to pump on the go. 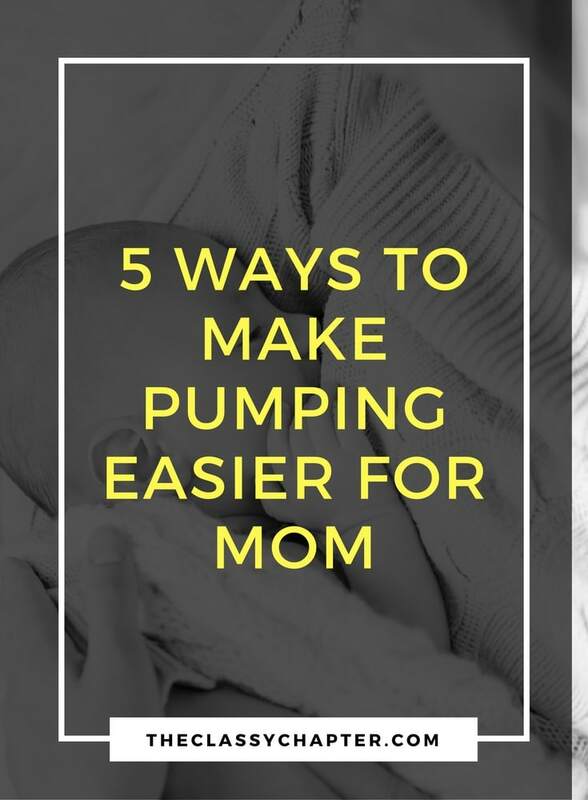 Today, I’m sharing some of my favorite tips on making pumping just a little bit easier. 1. Make sure you are comfortable! Set yourself up in a comfortable chair and make sure your relaxed. Grab your favorite book or surf the internet while you are pumping. I have always found that I produce more milk when I’m nice and comfy. Oh, and don’t forget a nice big glass of iced water. 2. Make sure your breast pump is comfortable! One thing I hated was holding onto the flanges while trying to pump. I’ve used a pumping bra but it never seemed to do the job super efficient. 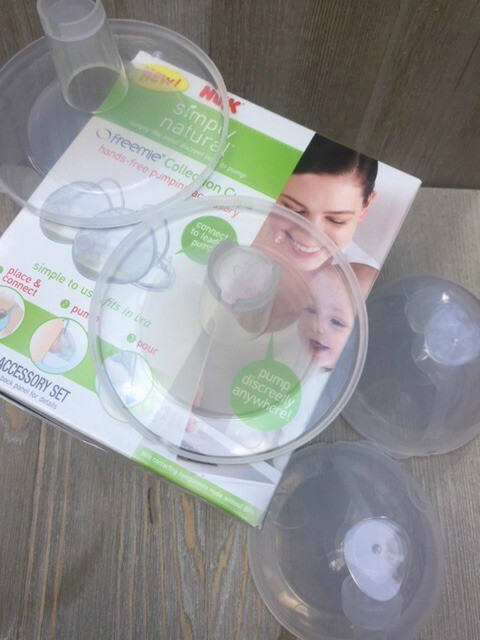 TheThe NUK® Simply Natural™ Freemie® Cups are a discreet pumping accessory that allows me to pump hands-free, under my clothes. It’s been a life-saver. 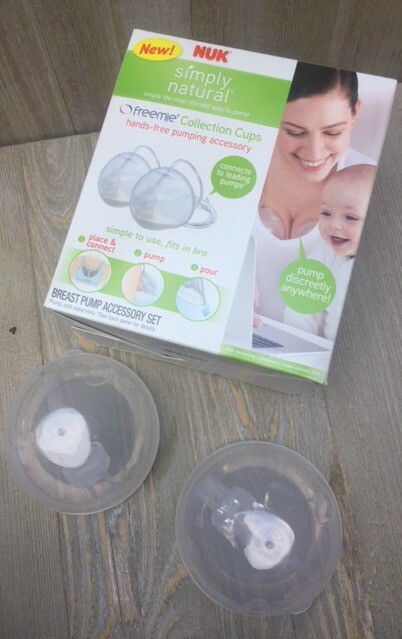 The cups simply slip into your bra and the milk collects in the cups. Seriously, amazing! You can pick up the NUK Simply Natural Freemie Cups at Target and Walmart. Don’t forget to also grab the NUK Simply Natural Bottle 5 oz 3 Pack at Target or Walmart. 3. Don’t stress! All of us pumping mama’s have sat there staring at the very little milk we are pumping out. Seriously, just forget about it for a while, get yourself nice and relaxed and let the breast pump do it’s job. Remember some pumping sessions are going to be less productive than others. 4. Try pumping early in the morning or in the middle of the night. It has been said that we produce more milk overnight and first thing in the morning. 5. Don’t wash your parts between each pumping session. Did you know that you can simply put your pumping parts in a plastic bag and stick them in the fridge? Just like you can store breastmilk in the fridge you can also store your parts in the fridge. I personally like to wash my parts at the end of the day and let me tell you, it makes pumping so much easier!